In our new series, Re-Tapped, we check in with the subjects of our past interviews to find out how they've progressed since our first visit. To see who else we've talked with over the years, as well as potential future Re-Tapped features, check out our Interview Archive. You’d be excused for being a little confused about what’s been happening with beer at The Berghoff. The Loop’s historic German restaurant, home of Chicago liquor license No. 1, not too long ago featured a slew of Berghoff Beer—a Wisconsin-brewed brand that, while it shared the restaurant’s name, was an independent entity of the famous namesake establishment. Today, you’ll be hard pressed to find Berghoff’s beer in Illinois, with the confusing beer brand all but a memory in the bustling Loop. 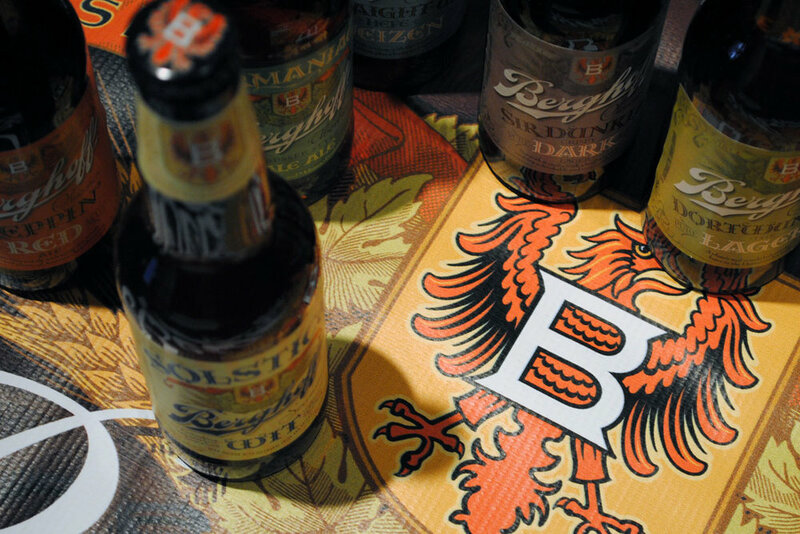 Images of the previous Berghoff Beer brand, from our visit with then-owner Ben Minkoff, in 2013. The Adams Street Brewery entrance, adjacent to The Berghoff Restaurant in January 2019. Still with us? 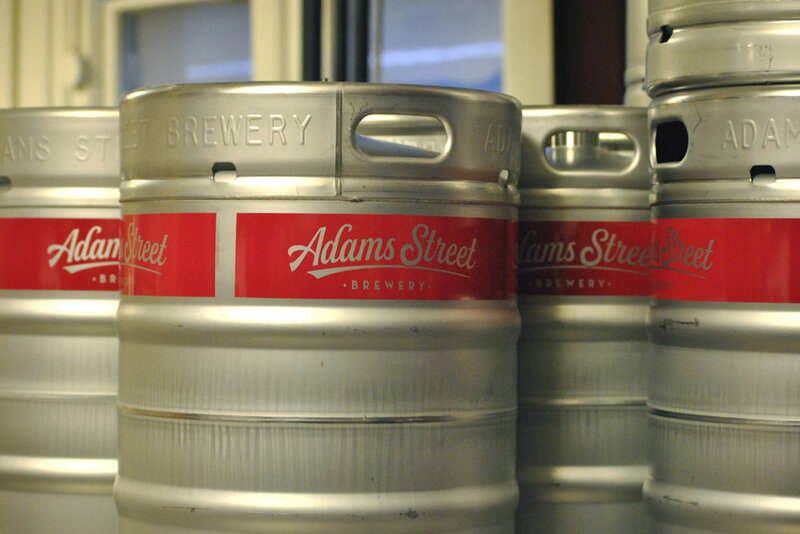 Nearly five and half years after our original chat, enter Adams Street Brewery. Their late 2018 launch featured a completely new brand, new brewer, and a sparkling new brewhouse; all located inside the original Berghoff Restaurant building. 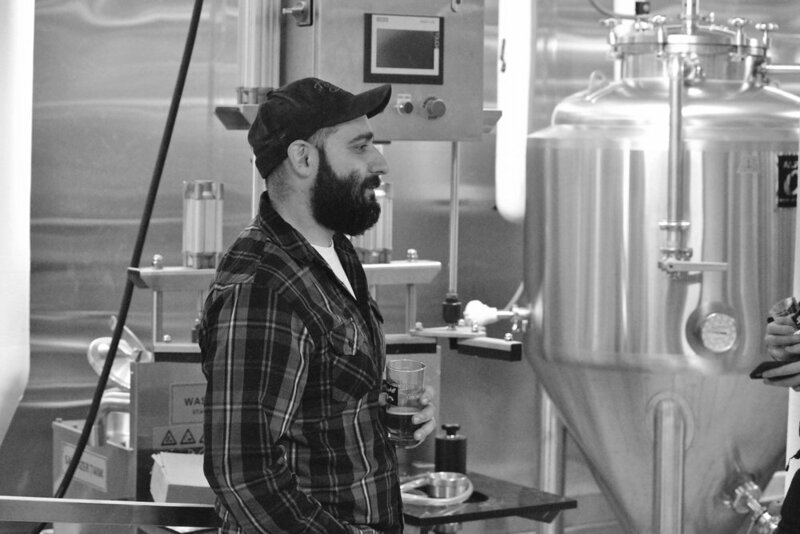 During our visit, we chatted with the new Brewmaster, Anthony Coronato, who’s taking on his first professional role in the brewing business after years of homebrewing. 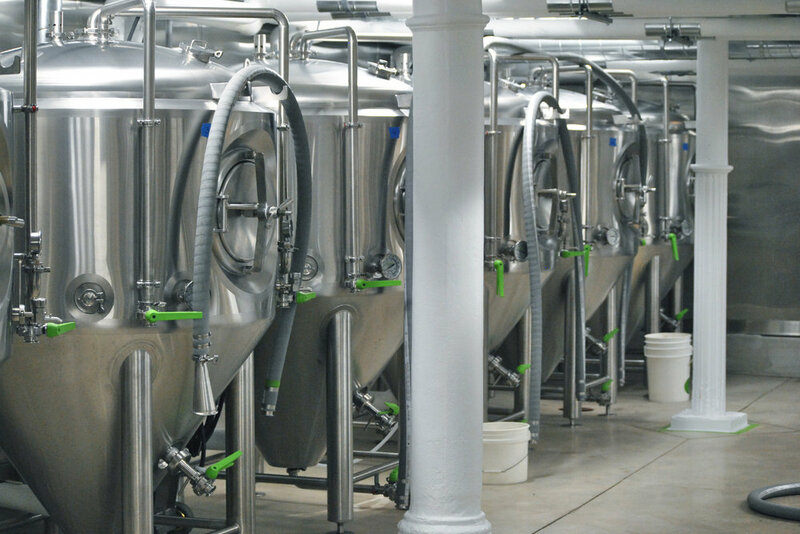 The space itself is something of a marvel, as the challenges of getting a brewhouse–complete with conditioning tanks–into such an old building, in the dead center of Chicago’s Loop–were immense. Spread through different parts of the historic restaurant, the state-of-the-art brewery is small, but uses every square inch of their limited space. While still in the early days of the in-house brewing operation, the big question is if Adams Street can step out of the shadow of the restaurant and prior beer brand. One of Berghoff’s biggest problems was always toeing the line between their legacy brand and modern tastes. Coronato doesn’t see that as an issue for his new brand, however. “We’re not tied down to anything. During our visit, we sampled all of their currently available beers including a crisp lager, roasty dunkel, a simple IPA (which Coronato plans to tweak), and a malty amber. All were enjoyable and clearly marketed toward the everyday drinker. Added to the lineup since our visit is the Milk Stout, which is arguably their best brewed beer, and managed to finish second in our blind tasting of Chicagoland low-gravity stouts. It’s a solid start for a brewery that has plenty of opportunity to capitalize on downtown commuters and tourists alike. 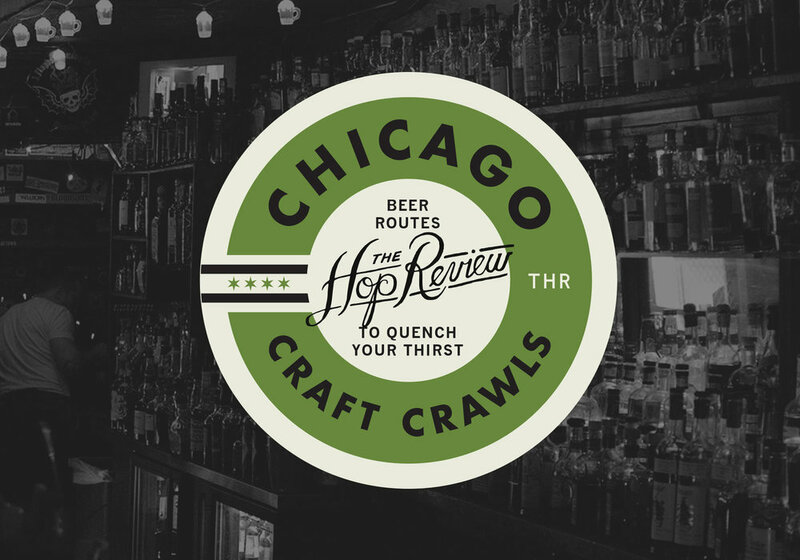 Time will tell if Adams Street can survive their unique location, approach to traditional styles, and still somewhat yet-to-be-discovered Chicago beer brand. We can say for sure though—it’s off to a much cleaner–and clearer–start than our last visit. The view of the historic Loop restaurant, from across Adams Street. The Berghoff’s original bar bears the historic ‘Liquor License No. 1’ badge, post-Prohibition. The new brew house, nestled in between the restaurant and revamped bar/taproom. 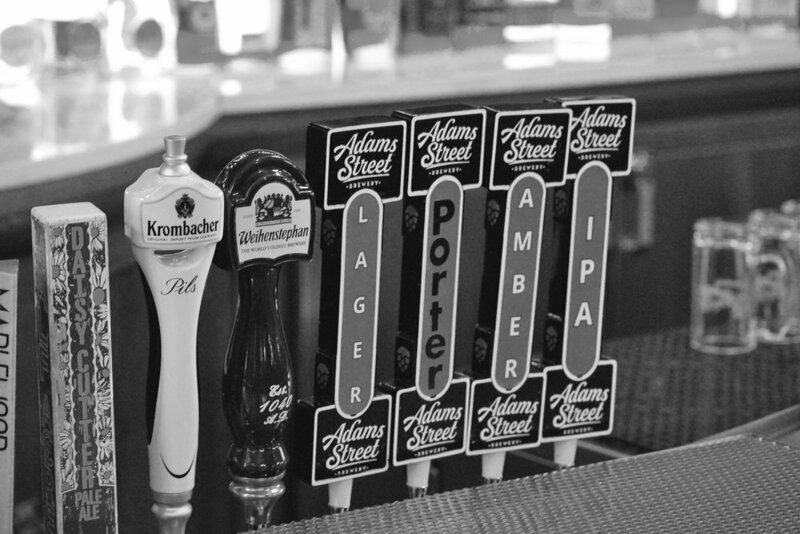 Initial Adams Street Brewery offerings sit alongside notable German and Chicago taps. 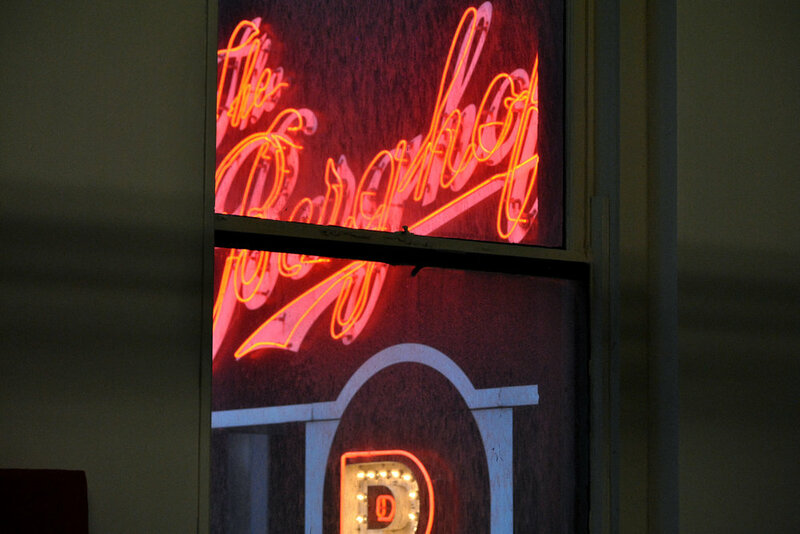 The ASB tap handles mirror the shape of the iconic Berghoff sign. A view of the famed Berghoff marquee, from inside the second floor of the building, where the brewery’s dry and keg storage exist. The brewery’s fermentation cellar, in the basement of the historic building.